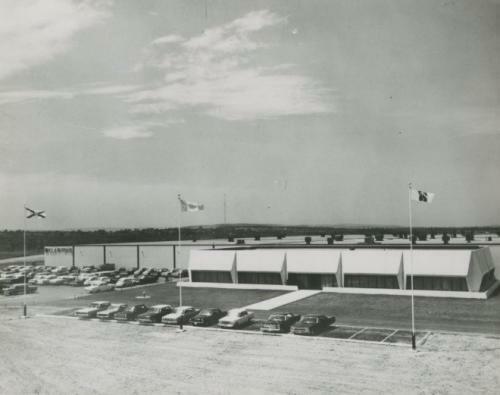 Did you or a family member work at Clairtone Sound in Stellarton in the 1960s? If so, we want to hear from you. 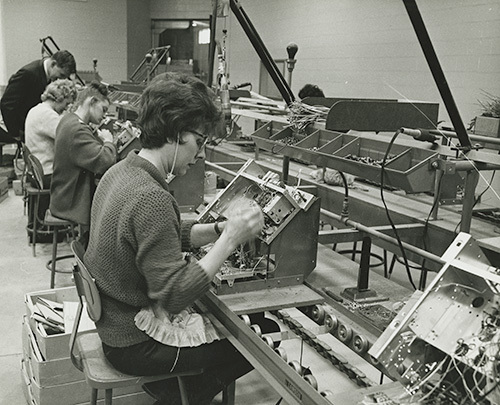 With the help of some former Clairtone employees we are creating a temporary exhibit to commemorate the 50th anniversary of the opening of the factory in 1966. The exhibit will include descriptions of how both the electronics and cabinetry divisions operated. We also want to explain what it was like to work at Clairtone – the highly-automated woodworking machines, the electronics assembly line, the precision it took to test stereos and tvs. Some of the guys from the Electronics Division at our Clairtone employee consultations at the Museum of Industry, April 7, 2016. Why did you go to work at Clairtone? What other job opportunities existed at the time? How old were you? How long did you work there? What was your job? Did you like the work? What do you remember about the unions? 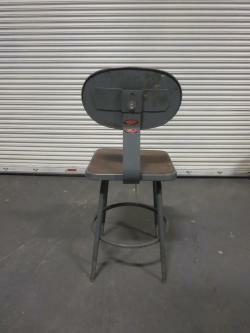 Wanted: An assembly line chair! 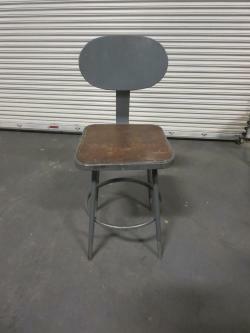 Some former employees of Clairtone are recreating two stations of the electronics assembly line and we need a chair. Clairtone assembly line. Nova Scotia Archives scan 19372.